Yesterday I mentioned that I made cake for our working trials training day. I compete with my dogs in Working Trials. Well, actually I will start competing with Kainaat in January – dogs have to be at least 18 months old before they can compete. 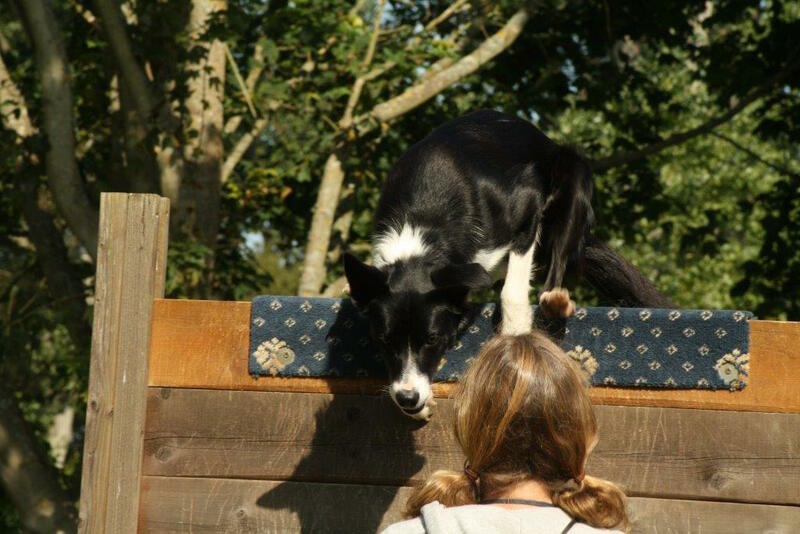 I did compete with Daisy Dog and she qualified CDex and UDex and was working in WD open, but she is retired now and concentrates on working our sheep instead. I don’t have the time to train two dogs properly and to be fair Daisy Dog is less of a team player and more of an independent dog than Kainaat. You can find out more about Working Trials here. There are a number of different exercises that you have to do. Tracking: a steward walks in a fiendishly complicated pattern on some arable land. The track is then aged for between 30 minutes or 3 hours depending on the level. 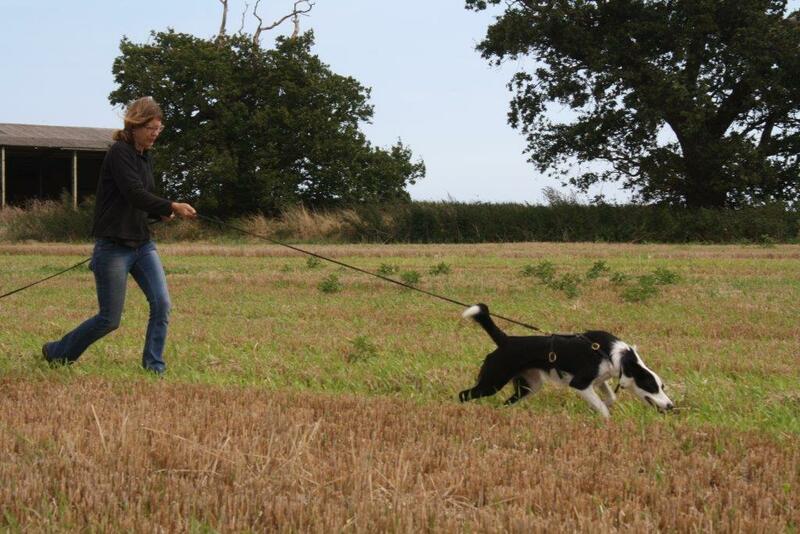 Your dog then has to follow the track laid by the steward and locate a number of small objects. Apparently this is good fun, if you have a competent dog and are relaxed about the whole affair. I find it very stressful as you obviously can’t see where the track is and so have to completely trust your dog. Unfortunately for a number of reasons Daisy Dog had a tendency at times to make up where the track went – not good. Daisy tracks in a highly manic manner whereas Kainaat plods along in a more sedate manner which to be fair gives him time to follow the track round corners. Search Square: your dog has to find 4 small objects in a 25 yard square in 5 minutes and bring them to you. It is not good if your dog goes to the toilet in the square, you lose a lot of marks – thanks Daisy Dog. 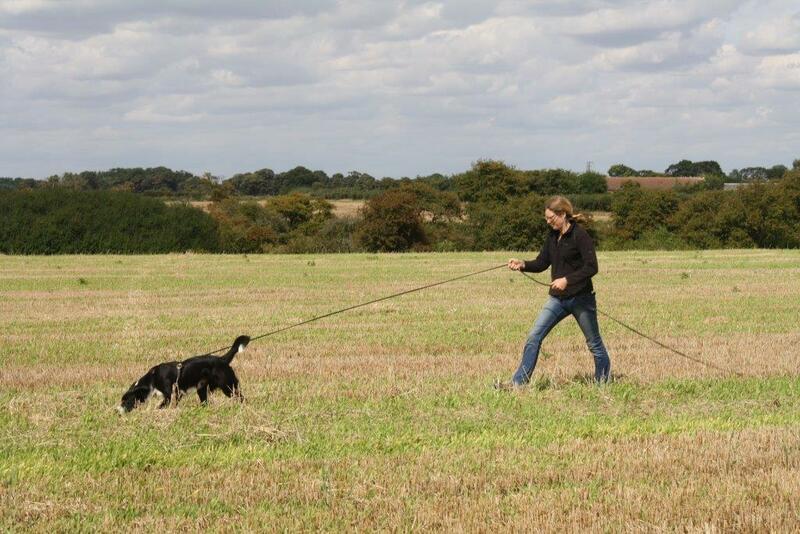 Steady to Shot: your dog must stay in a specified position or walk at heel while a firing pistol is fired. Both Daisy and Kainaat are fine with this, but I jump in the air and shriek with fright. Speak: Your dog has to bark when told and then be quiet when told. Kainaat’s secret dog name is Barky-barkalot the poo-eater, yet he he surprising reticent to bark when asked despite the fact that he spends almost all the rest of the time barking. Remember the second part of his secret name the next time he tries to kiss you! 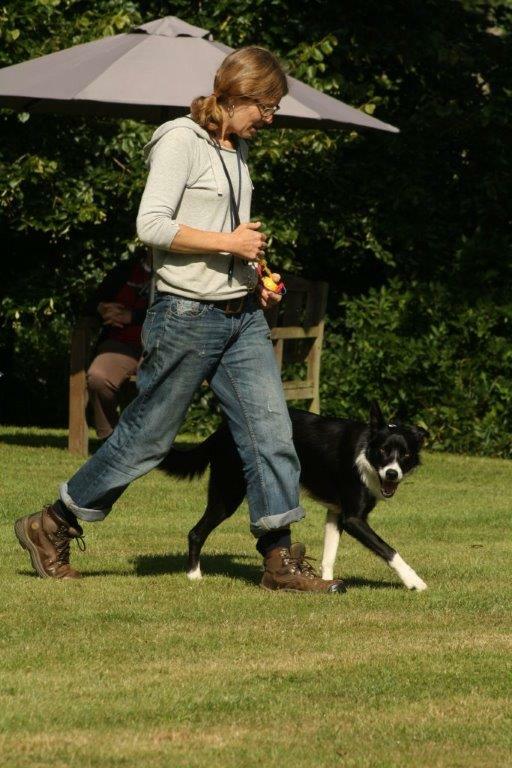 Heelwork: your dog must walk next to you while a steward directs you to walk at a variety of speeds and in a range of directions – dull, dull, dull. I don’t really like heel work, so we don’t practice, consequently we are rubbish at it. I am not very coordinated and frequently tread on my dogs’ paws, so understandably they prefer to keep their distance from me. Kainaat doing heelwork – what fun! Retrieve: you throw out a dumbbell and then send your dog, who picks it up and comes back and presents it neatly to you. More complicated than it sounds. It is however, not a good idea to teach your puppy how to hold the dumbbell by covering his eyes and shoving it in his mouth – bad me! Jumps: 3 foot clear jump, 9 foot long jump and a 6 foot scale. Jumps are fun if your dog likes to jump and they are awful, if your dog doesn’t. Kainaat loves to jump, Daisy doesn’t. 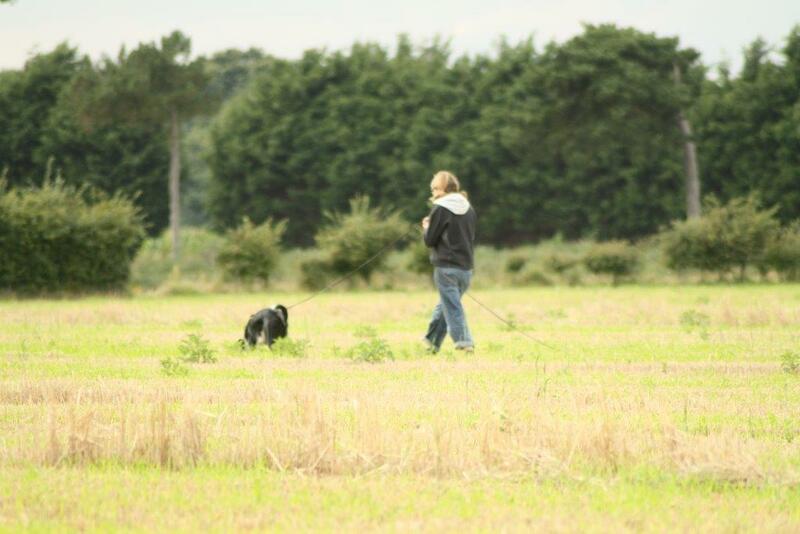 Sendaway: you send your dog across a field to a pole, tree or bit of a hedge selected by the judge. At the top level you have to move them left or right as well. We like doing this so aren’t too bad at it. 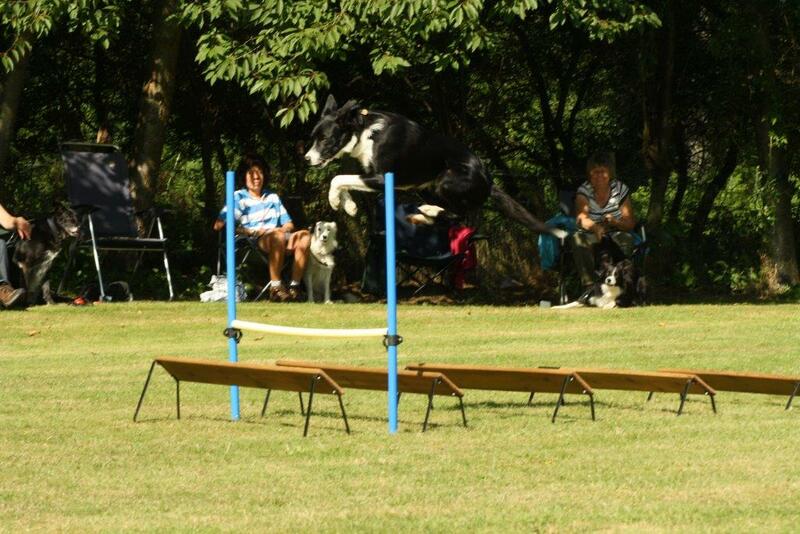 These photos were taken at a training day in the summer – thank you Vic. Ahhh…hugs and kisses to you all for all your hard work and determination to do even part of all that you do at these events. Love understanding the training and the events. Thanks, Claire. Kainaat jumping shot was astounding! Love the action shot of him jumping, hind legs tucked in. So beautiful. Daisy Dog certainly did like the limelight. For the limited time I had them both she always got quite mardi when i worked kainaat. She adorned him completely and let him get away with a lot, but she wanted to be the one working even though when I often did work her she didn’t actually want to do what I wanted but instead wanted to do her own thing …. but that was my beautiful Daisy Dog all over.